We have a wonderful staff of attorneys ready to assist you with your legal needs. Feel free to call on us and know we will work hard for you. We have the experience and expertise you need. 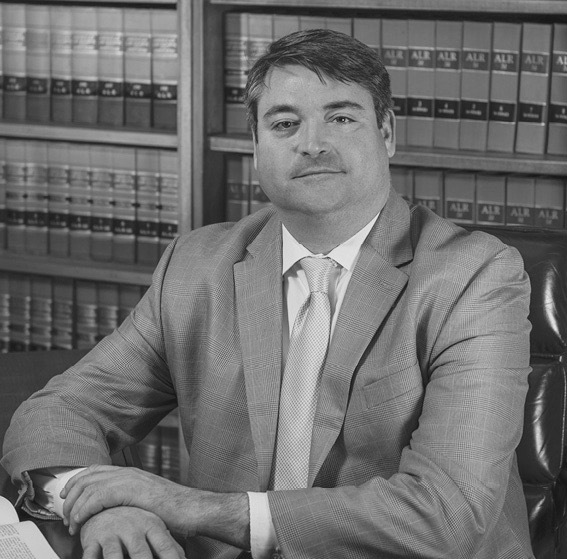 Joseph Fuller is a founding attorney at Fuller Hampton, LLC, in Alexander City, AL. He specializes in civil litigation, criminal defense and real estate transactions. Mr. Fuller also practices in probate court, and is admitted into Alabama’s Middle and Northern United States District Courts. Mr. Fuller began practicing law as a solo practitioner prior to opening Fuller Hampton, LLC. Joseph attended Faulkner University’s Thomas Goode Jones School of Law, and was a member the first graduating class of the fully accredited institution. While attending Jones, Joseph was a Senior Editor of Jones Law review. His published work includes: Joseph R. Fuller, Class Arbitration: Someone Please Forward a Copy of the Bazzle Decision to the Alabama Supreme Court, 13 Jones L. Rev. 107 (2009). Mr. Fuller also served as a law clerk to the Beasley Allen law firm during his law school tenure. He is a graduate of the University of Alabama at Birmingham with a bachelor of science in biology and a minor in chemistry. Mr. Fuller is also a graduate of Florida State University’s College of Business, where he received a Master of Business Administration with a concentration in finance. Mr. Fuller is a 1992 graduate of Benjamin Russell High School in Alexander City, AL. Amy Hampton is a founding attorney at Fuller Hampton, LLC, in Alexander City, AL. She specializes in bankruptcy. Ms. Hampton also practices in probate court, and is admitted into Alabama’s Middle, Northern and Southern United States District Courts. Ms. Hampton began practicing law as an associate with Bond and Botes in Selma, Alabama, prior to opening Fuller Hampton, LLC. Amy attended Faulkner University’s Thomas Goode Jones School of Law, graduating in 2009. She is a graduate of the University of Alabama at Birmingham with a bachelor of arts in English and a minor in history. Ms. Hampton is a 1989 graduate of Mountain Brook High School in Mountain Brook, Alabama. Clay Maddox is an attorney and shareholder with Fuller Hampton, LLC. He currently manages the firm’s Clanton office. He is a 2006 graduate of Chilton County High School. He grew up working for his parents' small business, which is where he attained his work ethic and drive to produce positive client results. Clay attended the University of Alabama on an honors scholarship, and graduated from the University in 2011 with a B.A. in Business Management. He then attended Faulkner University’s Jones School of Law where he finished his legal studies in 2014. Clay started with the firm following his first year of law school serving as a law clerk. Clay primarily practices Probate and Real Estate law. He and his wife Katie and daughter currently reside in Clanton and are active in many community and social clubs.